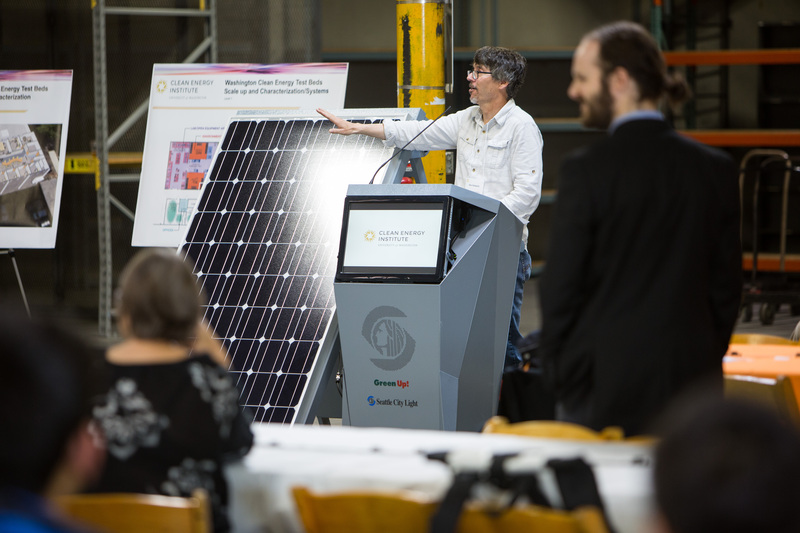 On June 15, about 100 CEI faculty, students, and committee members gathered at the site of the CEI’s future testbed facilities in the Bowman Building to celebrate the accomplishments of the year. 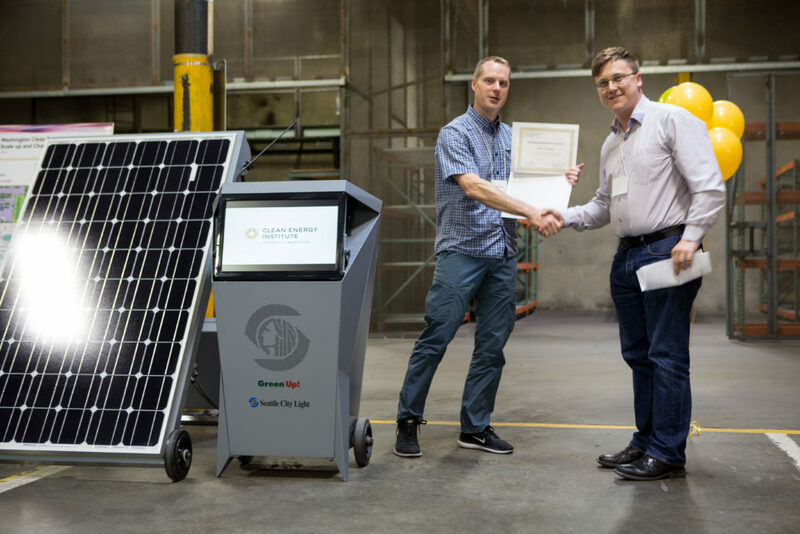 Speakers used a solar-powered podium (MobE) provided by Seattle City Light. 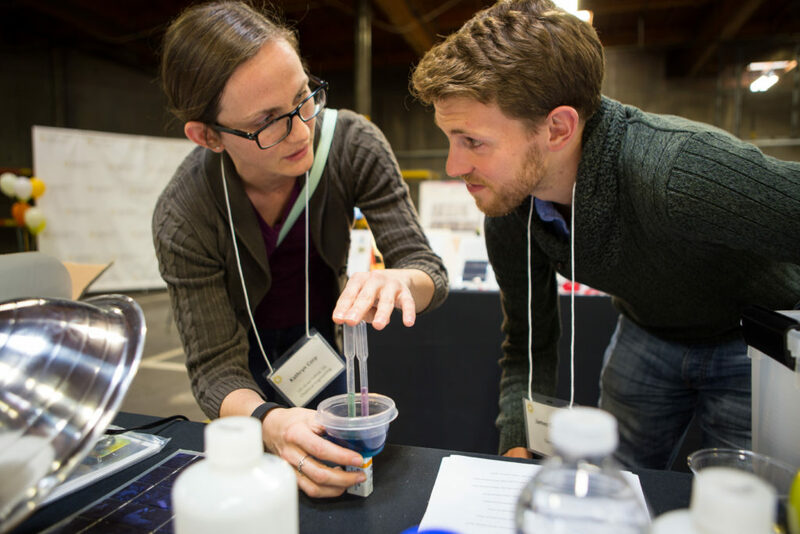 Visitors were able to get a sneak peak of the new Washington Clean Energy Testbeds scheduled to open later this year and see demos, lessons, videos and kits developed by the Clean Energy Fellows.